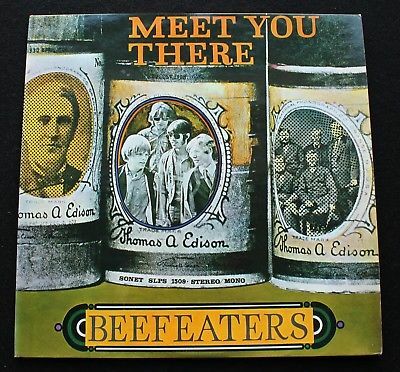 BEEFEATERS: Meet You There, Denmark Sonet SLPS 1509 1969 1st pressing LP in superb condition. The cleanest copy I have ever offered. DISC is superb MINT-, unmarked and super clean, playing with brilliant NM sound! Near impossible to find like this. COVER is MINT-, see pics. One label has tiny white spot, see pics. Comes with the original see-thru plastic inner. Good luck bidding for this Danish blues psych rarity!